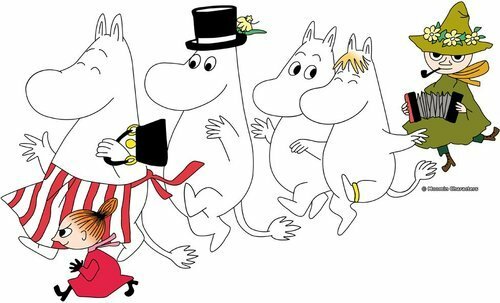 Tove Jansson, creator of the Moomins was born 100 years ago today. The Moomin books were a childhood favourite of mine. She created this amazing world full of weird fussy, angry, optimistic, loving and neurotic creatures who were all wonderfully sympathetic, even the scary ones. I re-read them as an adult and I was immediatly taken with the honest way Tove described the lives of innocents, children really, who were threatened by war, displacement or catastrophe. I wish every troubled child facing the same fears in the real world could get to take a copy of Comet in Moominland to bed, and be comforted by Tove’s wonderful characters.